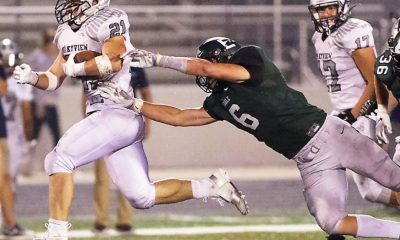 Nike’s Matt James Grinds To Top One of the great things about looking back to where we came from is knowing that we made great strides during our time working in this high school football space. When I started writing for Rivals.com no one covered any of these athletes at the local level with the exception of Chris Fetters from Scout.com / Dawgman.com and a few of the local newspapers. It was perfect timing to jump in and make the kids of the NW known on the world stage. This year my efforts to change the script of the NW High School Football world will cross over story number 8,000, something I take great pride in. Back in the beginning it was me and my own boys with their teammates and really no camps nor clinics going. The offseason belonged to the weight room and a couple of padded camps. Football was not the year around sport it is now. It was most certainly not a business anyone got involved with for money. 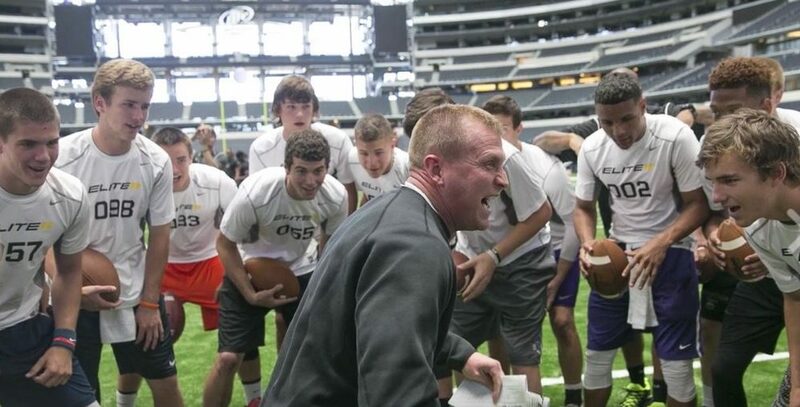 Then came Greg Barton and the Barton Football Camps on weekends in Portland and things got going- slowly but give Greg major props because he saw here in the NW the same potential that QB guru Bob Johnson had seen in California a decade earlier. Barton’s camps were legit and he helped countless kids. Then I ran into a kid named Matt James who was making some noise of his own hosting weekend camps and clinics on the fly. The former Hillsboro Spartan QB had a great demeanor and brought energy and enthusiasm to all he did! 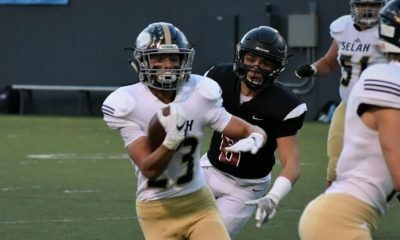 Being a Hillsboro boy myself I found James to be a perfect fit for my athletes and began to send him all the kids I covered as a great option for speed, agility, and strength training. He was working guys out by The Hoop in Beaverton, Oregon and holding camps on the weekends at local fields. Much of it was free to the kids and as young as he was he was confident and the kids loved him. A little while after that he would become integral with SPARQ on the ground level developing and perfecting the use of some of the most innovative sports training equipment ever developed. James would create many of the drills used in the SPARQ training program which changed the game for SAQ. The relationship between Nike and SPARQ connected Coach James to two major movers in the High School football space and a match made in heaven was formed. He worked non-stop all year and also was the Head Trainer at the amazing Velocity Sports in Hillsboro, Oregon during that period as well. The relationship between Nike and SPARQ connected Coach James to perhaps the two major movers in the High School football space and a match made in heaven was formed. He worked non-stop all year and also was the Head Trainer at the amazing Velocity Sports in Hillsboro, Oregon during that period as well. 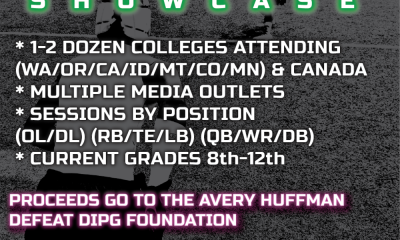 Within 3 or 4 years of my entry into the Football Recruiting and analysis world, James and Barton had developed in the Portland, Oregon market unrivaled camps and programs. These two influential men can be credited for the camps and clinics we have today which are numerous; the choices almost unlimited for those looking to get better. 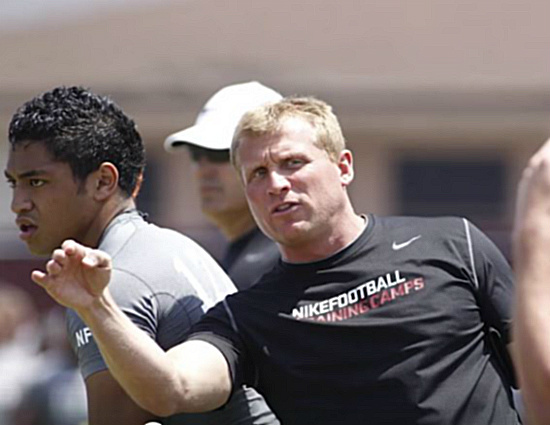 Matt James was a leading figure at all of the Nike Football Training Camps which were the only Camps we rated with 5 Stars every season. 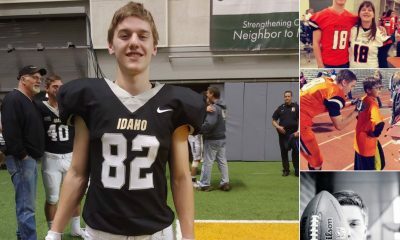 After a number of years of grinding it out Matt moved up the ranks and as Nike began The Opening and the SPARQ National Championships, he was at center stage. Out there on the fields in the middle of all of those future College and NFL greats is James firing up the boys. Even if you can’t see him he set the bar on the “pump up” huddle which starts every camp up. Today Matt James is the head of High School & Grassroots Football for Nike, the Head Coach at the Opening Regional Camps, and The Opening. He is at the pinnacle of the High School Football world and even though many do not know who he is he is perhaps the most influential man in the lives of many of the young men that have a chance to work with him. He is at the top of his game..no take that back…top of the game. Matt James is the fully developed version of the little blond kid who grew up on my cul-de-sac ( I did not know this until years later); even though I barely knew him I remember him sinking baskets and practicing as I drove off for Portland State. He was always fired up and born to lead. He, like me, is a Hillsboro Spartan & Portland State Alumni, the son of a Legendary coach and highly accomplished mother, the father of three amazing boys, and a faithful husband. All of those things we incredibly have in common. No wonder we are friends and have crossed paths through sports. Matt James is my friend and holds my highest level of respect which is something I do not give lightly. The man is the real deal and I suggest you watch this terrific piece that Nike put together for him. In many ways, the Nike Opening and Nike Football are successful because they reflect the characteristics of Matt James and the excellent staff they have assembled. Thank you, Matt, for all you have done and I look forward to the next chance we have to work together. Matt was a little kid on our street in Hillsboro and his Dad was/is a great Coach! Great to see he is doing so well! Great job Spartan!